On the 5th and 6th of April, « Journées de la Recherche Avicoles » will take place in France. 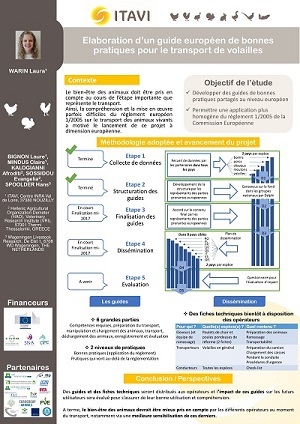 It is a congress for poultry French Stakeholders. Laura Warin from ITAVI will present and inform the stakeholders about the ‘Animal Transport Guides’ – project. Good luck Laura!